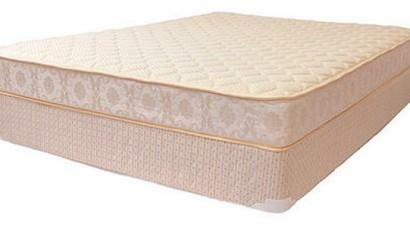 The Crazy Quilt Mattress by Corsicana, is perfect for a perfect short-term and affordable mattress. Using the basic innerspring technology with a standard wire border; a great amount of structure and edge support is provided. The Crazy Quilt is suitable for kids and great for bunk beds because of its thin profile. This product is available in twin, full/standard and queen sizes. The Crazy Quilt does not come with a warranty.